A dog who's been taught a few simple rules will become a well-adjusted and well-behaved family pet. If your newly adopted dog doesn't have his commands down, now's as good a time as any to remedy that! Your new addition needs to be taught manners and the rules of the household. From the time you bring him home from the shelter, he must be taught not to bite or chew humans - even in play. He must be taught that unnecessary barking is not allowed. The key to training a dog of any age is to realize that he really does want to please you. Praise and reward your dog for appropriate behaviour and use a stern "No" command when you wish to correct his behaviour. If it's more than you can handle on your own, find an obedience class or a trainer. Many vets and pet supply stores also offer training classes. This will provide instruction on training your dog to obey basic commands such as stay, down, and to come when called, but also allows him to socialize with other dogs. Regular grooming is a must to keep your dog looking and feeling his best. Naturally, long haired or densely coated breeds require brushing more frequently than short haired dogs. Some breeds require regular professional clipping. Your veterinarian can assist with cutting nails and cleaning teeth, and show you how to do some of this yourself. A regular grooming ritual is also a great bonding experience for you and your new dog, especially if he hasn't been treated well in his past. It feels good, and it shows him how much you love and appreciate him. As a general rule, dogs need regular walking for physical and mental stimulation. When walking your dog he should be kept on a leash and you must observe all local regulations. Comply with the regulations concerning registering your dog with your local authorities and be sure that your dog wears his license tag and identification at all times. Your dog should never be allowed to wander or roam freely. As a responsible dog owner, you should always carry plastic bags when you walk your dog. A good way to remember to do this is to purchase a small, but durable "dog bag" and hang it in the same place as your dog's leash. The bag might contain a supply of poop-scoop bags, maybe a toy for the park, some grooming implements, and some emergency cash. It's also a good place for your keys and cell phone, if you have one. Once you get into the habit of bringing your dog bag whenever you take him out, you'll rarely forget. Unfortunately, dogs sometimes do get lost, and it can be heartbreaking. But it's also easily preventable. Make sure your dog always wears a collar and an identification tag with your telephone number. For extra insurance you can get him micro-chipped at your vet's. Be sure he always wears his matching microchip ID with his other tags. Confine your dog during thunderstorms and fireworks displays. 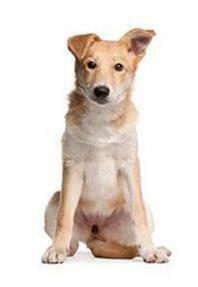 If your dog is lost, check with your neighbours, local veterinary clinics, animal welfare organizations, and shelters. Check with these organizations in the neighbouring suburbs - lost animals may travel some distance. If he's been micro-chipped, contact the company he's registered with. And continue to contact all of these locations daily until your dog is found. Although many people prefer not to part with their pets during holidays, sometimes it can't be avoided. So you need to consider how best to care for your dog while you're away. Your veterinarian should be able to recommend a few reputable kennels. Make preparations well in advance for major holidays. In order to kennel your dog, his vaccinations must be up to date. If you're only absent for a few days, you may arrange for a neighbour or a home pet sitting service to visit and feed your dog. Some companies provide all inclusive services. They'll live in your home and take care of your dog while you're away. A dog can truly be a child's best friend if the child and the dog are taught how to play together. Running and chasing games with children and the dog should always be supervised by an adult until an understanding has developed between the dog and child. Dogs can be loyal and trustworthy companions but if your dog is not used to children, he should be introduced to them under careful supervision.